Is negative energy in your life continually bringing you down or causing you to suppress your emotions? If your life seems to be immersed in a depressing fog and you’re wanting to fill it with more positive energy—there are fun and exciting ways to do so via large intestine meridian exercises. In this article, we’re going to learn all about meridian therapy and how balancing energy within the large intestine meridian is key to letting go of negativity in your life. According to ancient energy healing traditions, humans have energetic bodies in which vital energy flows. This vital life force, known as qi, moves through an intelligent network of pathways in our body called meridians. Basically, if blood vessels are the channels that carry blood and nerves are what carry sensory information...meridians are the channels that operate in the same way to carry energy. Meridians work within the body and can be mapped through acupuncture points but are invisible to the naked eye. By understanding how to utilize qi energy in the meridian system, you can open blockages in the body and recover your health and natural balance. Many healing traditions such as massage, tai chi, qi gong, yoga, acupuncture, acupressure, and shiatsu are based upon this energetic principle. In fact, science has finally proven this energy body of ours exists. In this study, CT scans reveal maps of acupuncture points in the body used by Chinese energy practitioners. Another study done by Korean biophysicists found that meridian lines are an actual duct system within the body through which energy flows. There are 12 main meridians in the human body, each of which corresponds to a major organ. They are named accordingly: stomach meridian, spleen meridian, heart meridian, lung meridian, liver meridian, pericardium meridian, bladder meridian, kidney meridians, gallbladder meridian, small intestine meridian, large intestines meridian, and the triple burner meridian (body temperature regulator). In this article, we’re focusing specifically on the large intestine meridian. The large intestine meridian, otherwise known as the ‘minister of transportation,’ carries out many essential bodily functions and works to purify and balance fluids in the body. Energy medicine believes the large intestine meridian corresponds to our relationships, moods, and emotions. The health of our large intestine meridian is dependent upon the health of our emotional well-being and vice-versa. Suppressed negative emotions may very well result in blockages of life force energy (qi) within the large intestine meridian. Unprocessed difficult emotions like anger and grief, might manifest in the body as digestive issues and/or chronic constipation. On the other hand, balanced and free-flowing energy within the large intestine meridian is reflected in a person’s ability to process his/her difficult emotions in a healthy way. Healthy digestion ensues, which positively affects the entire bodily system. What are acupressure points, and how do they relate to meridian therapy? Acupressure points are located at specific areas along your meridian lines. Think of your body as one big map—meridian lines are akin to roads, while acupressure points are their traffic lights. There are 12 primary roads (meridians) along the map of your body, and 365 traffic lights (acupressure points) at various intersections. 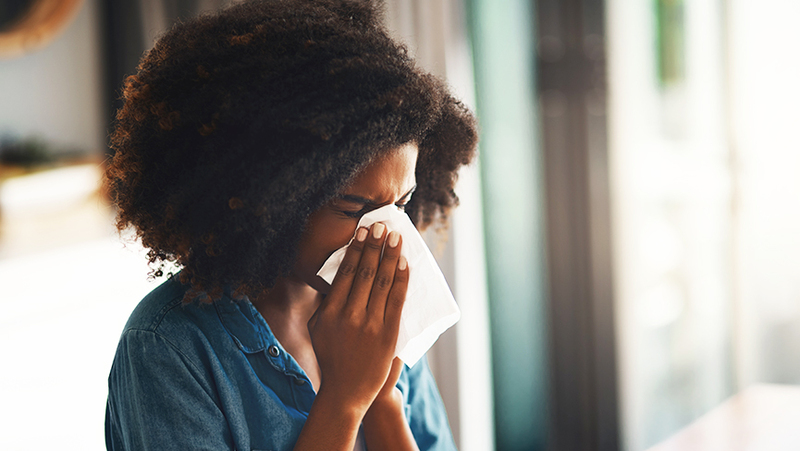 When energy is blocked, stagnant, or imbalanced, you’re at higher risk for illness and disease. On the other hand, when it is balanced and fluidly flowing, health is generally good. Energy healers use the map of the body with its meridians and acupressure points to unblock stagnant life force energy (qi) within and restore balance in one’s body. The cool thing is you can learn to heal yourself with specific exercises contained within the system of meridian therapy. In many cases, energetic balance and disease prevention can happen by your own healing hands, within the comfort of your own home. You have the healing power to restore health to your mind, body and spirit—all you need are the proper tools and exercises to do so. Meridian therapy is a form of healing that you can do yourself. Taken from the ancient healing system of TCM (Traditional Chinese Medicine), meridian therapy consists of various exercises and techniques that stimulate, balance, and restore life force energy (qi) which flows throughout your meridian lines and associated organs. Meridian exercises combine controlled breathing with tapping, stretching, vibration, stretching, and various rotation postures. When doing these exercises, it is important to breathe in and out with the intention of releasing tension and place your conscious attention to the areas of the body that you are trying to help. Another form of meridian therapy is meridian massage, or acupressure, which consists of applying pressure to certain acupuncture points throughout the body to release blockages. These can be done on your own body by using your thumbs to press down or your thumbnails for a stronger stimulation. Meridian therapy is a truly holistic self-care approach to whole-body health and disease prevention. What’s more is that there are very few side effects and/or risks involved with the techniques taught in meridian therapy. We all have an innate healing power, and no one knows your body as well as you do. Believe in yourself to tap into this healing capacity. Follow your energetic senses to guide you to give your meridians the right amount of stimulation for the perfect amount of time. 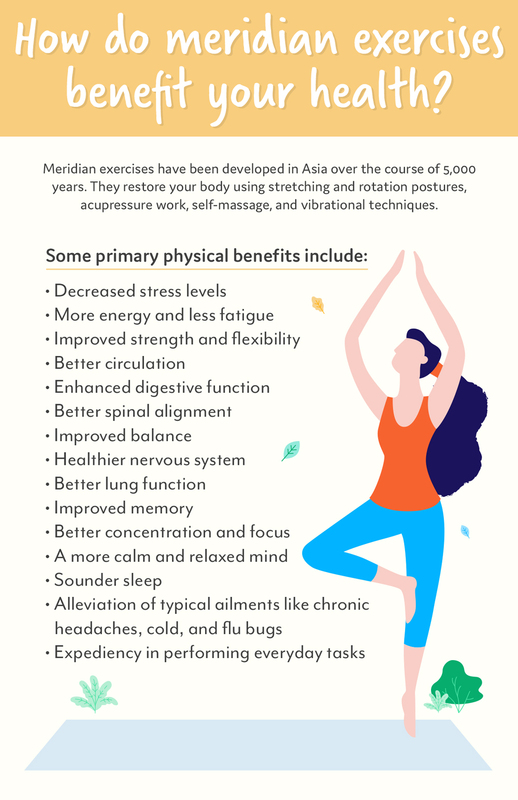 How do meridian exercises benefit your health? Meridian exercises have been developed in Asia over the course of 5,000 years. As you can imagine, they benefit your health in many wonderful ways. Imagine opening each meridian line and getting the energy flowing freely within each one. Imagine balancing the organs that correspond to each meridian, restoring their ability to function properly and do the work they were designed to do. This is exactly what meridian exercises do. 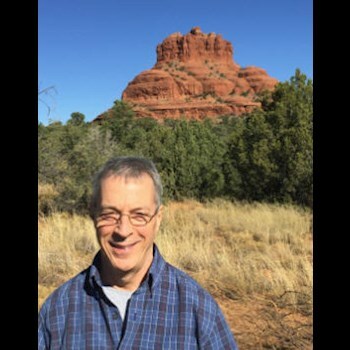 Utilizing various stretching and rotation postures, acupressure work, self-massage, and vibrational techniques, meridian exercises restore and maintain health on all levels---mind, body and spirit! This meridian begins by the outside corner of the index fingernail. It runs along the edge of the finger, to the elbow and to the outside of the shoulder muscle. It continues to the outside of the shoulder muscle, then crosses the shoulder blade and travels upward over the muscle at the side of the neck to the cheek, passing through the lower gums, then over the top lip. 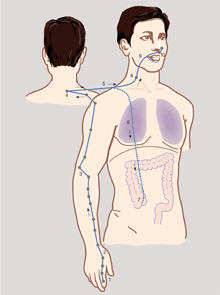 The large intestine meridian ends beside the nostril. In traditional Chinese medicine, the large intestine meridian corresponds to ‘organization and transport.’ It’s responsible for not only the digestion of nutrients, but also the digestion of life experiences. The more balanced energy is within this meridian, the better we’re going to be at processing both nutrients and difficult emotions. The large intestine meridian corresponds to the colon, which expels waste from the body. When the colon is working properly, elimination is smooth and effortless. When qi energy becomes blocked within the large intestine meridian, it won’t function to the best of its ability and cause issues like constipation or diarrhea. 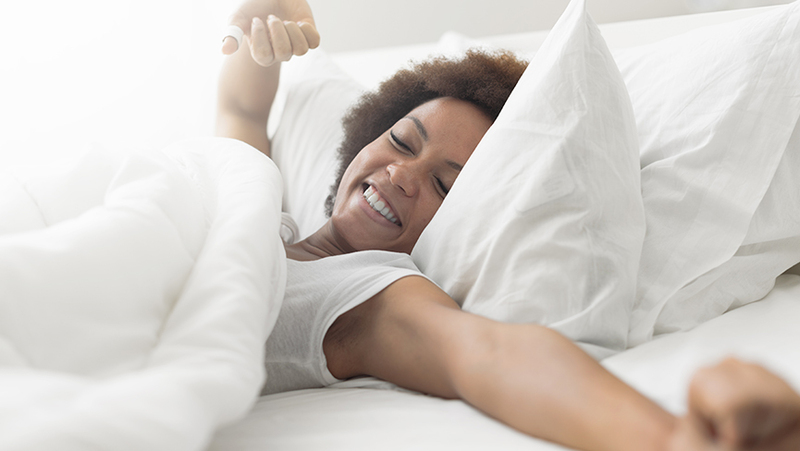 Specific meridian therapy exercises for the large intestine meridian will need to be practiced to restore the energy in the colon for proper functioning. 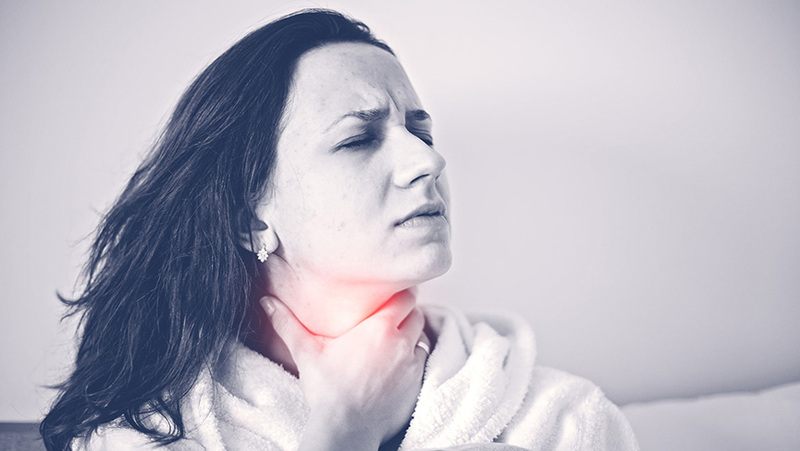 Do you experience sore throats, stuffed up sinuses, yellow-tinted eyes, toothaches, and/or chronic pain in the arm and shoulder areas? These are signs that the large intestine meridian could be blocked. Some other symptoms are acne, eczema, rosacea, or overall dryness. Meridian therapy expert, Chungsuk, says “blocked or diminished qi within any meridian can negatively affect our physical, emotional, spiritual, and even social health.” He adds, “whenever you’re suffering from chronic constipation or sluggish digestion, you’ll want to take some time to meditate on your personal relationships.” Often times, there’s blocked energy in both cases—within the body, and within a particular relationship that needs healing and harmony. 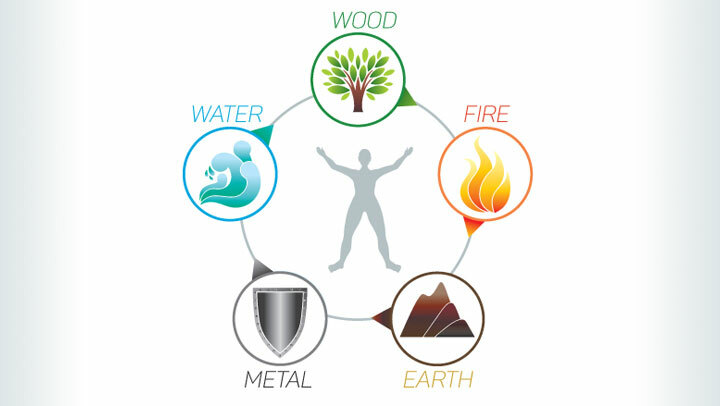 In ancient energy healing practices, the organs are represented by one of five elements that coincide with nature—wood, fire, earth, metal, and water. These elements represent the cycles and rhythms of nature to explain what happens in the human body. The large intestine meridian corresponds to the element of metal, as does the lung meridian. Lungs release metabolic and energetic waste through inhalations and exhalations, while the large intestine and digestive organs detoxify the body of physical waste. Going deeper than the physical body, meridian energies connect the body to consciousness. In other words, metal energy of the large intestine meridian corresponds to matters that rely on the state of our consciousness such as: money, prosperity, and self-protection. When the energy in this ‘organizer organ’ is balanced, we practice discernment and discretion in our lives. When the energy in the large intestine is unbalanced, our thought processes may become clouded. We might not practice good judgment in areas of finance and interpersonal relations. We may be stubborn, resentful, and angry in relationships. Decision making becomes impaired, as do organizational skills. The stuck energy in the large intestine meridian further amplifies a kind of emotional holding pattern. In terms of financial matters, we may hold onto money, hoard material items, and lose our desire to share our resources. As you can imagine, this results in an overall negative vibe in other areas of our life. Because the large intestine meridian is linked to the metal element, it’s also intimately associated with the emotion of grief. When we become to attached to this heavy emotion, and fail to work through it in a healthy way, large intestine meridian energy often becomes blocked and stagnant. Holding onto grief can make it impossible to let go and move on. We all experience grief from time to time, and we all need to learn how to face it with grace and move through it to heal. If we don’t, we may become stuck and ‘constipated’ in more ways than one. But with the help of meridian therapy, we can release blockages in our emotions to take the load off and live a lighter life! Luckily, meridian therapy can lift the veil of negativity and help you release negative emotions once and for all. Once you’ve balanced the energy within the large intestine meridian, life flows much more fluidly, especially when it comes to money, relationships, clarity of thought, and digestive functioning. What are the best exercises to release negativity via large intestine meridian exercises? These two meridian therapy exercises are available to you whenever you’re grieving, feeling depressed, overcome by negative thoughts and belief patterns, indecisive, or stuck in a relationship or other life situation that needs to be released. Once you learn them, they’re both easy to practice anytime, anywhere. All you need are your own two healing hands! To perform abdominal belly breathing massage, you’ll want to find a comfortable space somewhere to relax. Find a position that makes you feel at ease. 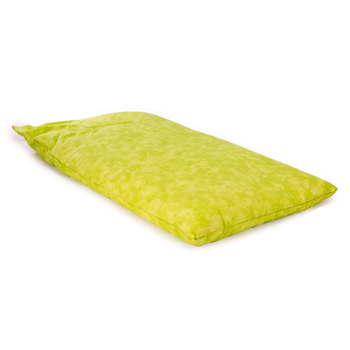 This could be sitting, standing, or lying down---as long as you’re comfortable and relaxed. As soon as you’re situated, take a few deep breaths, then place your hands gently on your belly, with your fingers forming a triangular shape over your navel center. The thumbs face inward to touch while the pointer fingers point downward to touch. The triangle should cover the area from your navel to your pubic bone. On a deep inhale, push your belly outward, as if your stomach is a balloon and you’re blowing it up with your breath. On a deep exhale, pull your tummy inward towards your back body. Now, you’re going to do several repetitions of this exercise, holding each inhalation and exhalation for 2-3 seconds. As you do this, you may want to simultaneously tighten and then relax your rectal muscles. This action helps gather additional warmth and energy. To get the full benefit from abdominal breathing massage, you’ll want to do this breathing repetition 100 times. As you become more experienced, you can increase your abdominal breathing session to up to 300 breath cycles. When you’ve finished the practice, take the time to take in what you’ve just experienced. This could mean simply lying there completely relaxed for several minutes. In doing so, you’ll balance your energy and feel the soothing and centering effects of the practice. While this is a relaxing exercise, it’s also stimulating in nature. Drink plenty of filtered water once you’ve finished. The more you do this practice, the more you’ll see positive changes and release negativity on many levels. Added benefits include glowing skin, increased energy, and overall feelings of health and well being. Try to integrate the abdominal breathing massage technique into your daily routine. Regularity is needed to experience the myriad of benefits this form of energy healing offers. The energy center that rests in your abdominal center is known as the lower dahn-jon. Tapping the lower dahn-jon is the perfect compliment to abdominal breathing massage in order to get the qi flowing freely throughout the large intestine meridian. When these two exercises are practiced together, you’ll experience flexible and well-toned intestines. What’s more, your circulation will improve, and your intestines will become stronger, softer, and infinitely more supple. Stand tall with your feet directly beneath your shoulders. Your knees should be slightly bent. Roll your shoulders up and down the back so that your neck is long and your shoulders, arms and spine supple and relaxed. Place your hands gently on your belly. 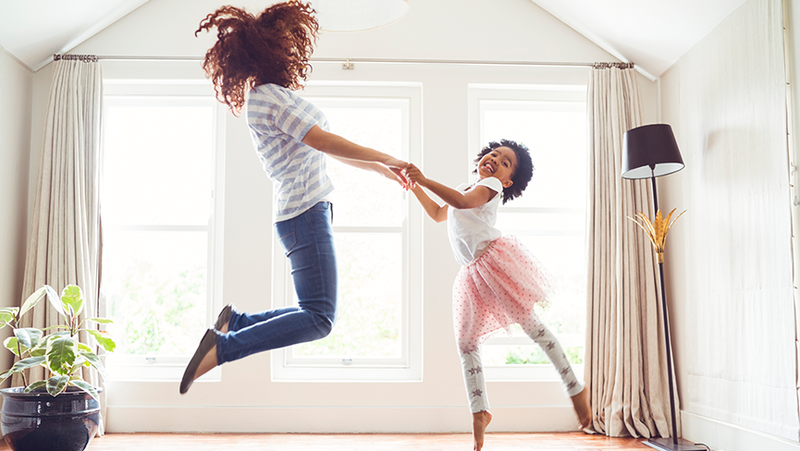 With the hands open and relaxed, begin tapping the belly in a rhythmic motion. Gradually increase the intensity of your tapping until the pressure becomes almost like a striking motion. Use your tummy muscles to resist the palms. This tones the abdominal muscles even further. When you first get started with lower dahn-jon tapping, you’ll want to repeat the tapping 100 times. After you’ve practiced for a while, gradually increase the tapping to 300 repetitions as your abs grow stronger. When you’ve finished tapping, relax for several minutes to take in the benefits of the practice. Drink plenty of filtered water to help flush out any toxins that need to be released. As you can see, meridian therapy is a powerful healing modality that’s accessible to anyone and everyone. It’s an inexpensive healing technique that once harnessed, has the power to impact your health and vitality in truly amazing ways. 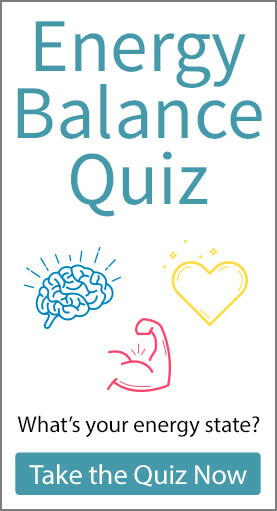 If you’re feeling stuck in an unhealthy relationship, make these exercises a regular part of your daily health routine. If you’ve been constipated lately, and know for a fact your digestion could use a boost, these exercises will no doubt get those digestive juices flowing. If you sense you’re having a hard time processing your grieving emotions after the loss of a loved one or perhaps after a traumatic breakup, these practices will help you move through the hard times. 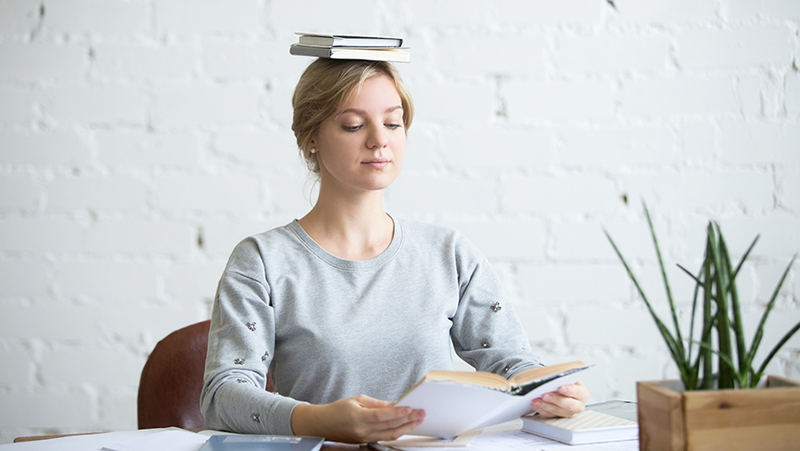 If you feel financially stuck, as if you’re having a hard time earning money and then sharing your resources, the large intestine meridian exercises will help you get unstuck. If you’ve been getting acne, or your skin has blemishes it’s never had before, turn to these practice to push the toxins out and clear your skin for good. 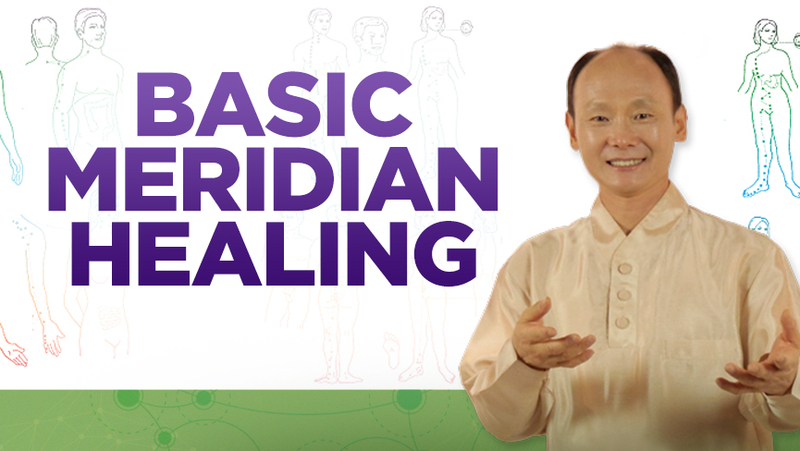 Once you’re ready to dive into the wide world of energy healing, and meridian therapy resonates with your head, your heart, and your soul, consider purchasing Ilchi Lee’s definitive beginner’s guidebook Meridian Exercise for Self Healing. It’s the perfect book with step-by-step instructions combined with colorful photos to get you started. If you’re looking to dive even deeper into the practice, you’ll want to check out Chung Suk’s Basic Meridian Therapy Online Course. This online video course will allow for a truly comprehensive education in meridian therapy. Through 5 ½ hours of instruction, this course will take you on a journey through each of the 12 primary energy body meridians. You’ll learn which exercises benefit the lung meridian, heart meridian, kidney meridian, and small and large intestine meridians. With a bit of instruction, and a desire to heal, you’ll be a regular meridian therapy practitioner in no time. All you need are the tools and techniques to carry out the natural powers of your own healing hands, in tandem with your body’s innate capacity for self-healing. You’ll save time, money, and stress by taking your health into your own hands. Our meridian therapy teachers will show you exactly how to live a healthy, happy life—on your own terms! To speak with an expert, contact us today! Excellent article with so many great examples that people can actually practice to help heal their bodies. As someone who studied acupuncture for 2 years one thing missing was exercises like these along with the meridian theory. Great stuff! Thank you for this greatly compiled article. So very useful for sharing with my members. Thank you for this article. As a massage therapist and bodyworker, this is very useful information and tool I can incorporate in my practice (meridian massage) and recommending this exercises to my clients. these are some great techniques...very useful. the trick is remembering to use them.